Crow Water Systems offers expert advice and consultations for anyone inquiring on solutions to your water system problems. 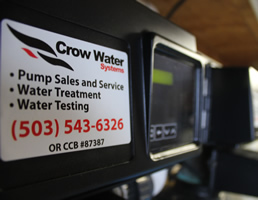 Whether it's drilling a new well, deepening or rejuvenating an existing water source, repairing or installing your pumping system, managing your water quality, or water testing, Crow Water is your best source for these services. Crow Water employs the area's only licensed (WTI) Water Treatment Installer and services Scappoose, Saint Helens, Rainier, Columbia City, Sauvie Island, Skyline, Germantown, and surrounding areas for all of their water needs. For pump, irrigation, softener, chlorine, pressure tank, water pressure, water conditioning, water testing and backflow testing services contact us to schedule a consult. Our consults focus on maximizing efficiency and minimizing costs for the long term operation of your water system. Whether you face low-yielding wells, limited water supply, low pressure issues, potability issues, water tastes and odors, or the staining of your plumbing fixtures, we can help. 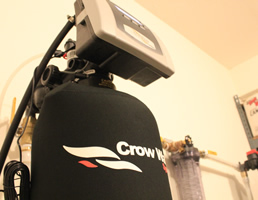 Whatever the issue is, Crow Water will find a solution to your water system problems that will provide you with the most economical and maintenance friendly solution for the life of your system. 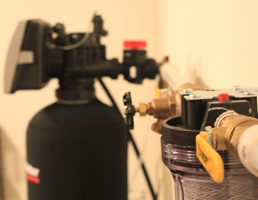 We offer free estimates for any pumping system installation work, and free water quality analyses with any water treatment or filtration estimate that your water system may require. Serving the Tri-County and surrounding area with all your pump sales and service, water treatment, water testing, and backflow testing needs.